Google Inc. pulled the veil from its latest Nexus line of mobile devices Wednesday with the Nexus 6, a large-screen smartphone codenamed "Shamu," and the Nexus 9 tablet, codenamed "Volantis." In a surprise move, Google also announced a new streaming video device called the Nexus Player. 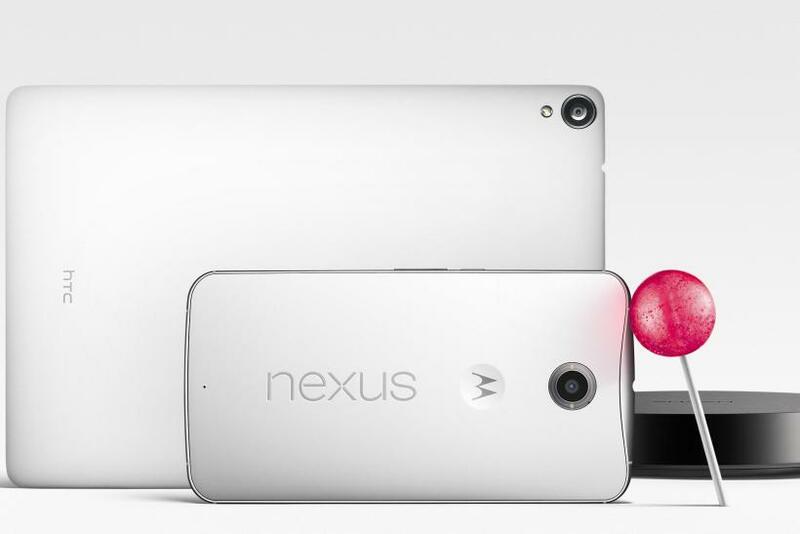 Google also revealed the name of its new operating system: Android 5.0 Lollipop. Android 5.0 Lollipop was showcased at the Google I/O conference in June as Android L, but now the company is sharing more details about the software. Besides a new material design user interface, which Google describes as responsive, with natural motion, realistic lighting and shadows, Android 5.0 Lollipop features a completely updated notifications function. Users can interact with notifications from their lock screen, set priority notifications and control incoming call notifications and notifications triggered by applications. The operating system also includes major updates for battery life, security, device sharing, performance and media, among many enhancements and new features. Android 5.0 Lollipop will ship on the new Nexus devices and will soon be available for older Nexus models, including the Nexus 5, Nexus 7, Nexus 10 and Google Play Edition devices. The Motorola-made Nexus 6 features a 5.9-inch QHD (1440x2560) display and a Qualcomm Snapdragon 805 chip coupled with 3GB of RAM and 32GB and 64GB internal storage options. Its 13-megapixel main camera features optical image stabilization and its front-facing camera is a 2-megapixel lens. The Nexus 6 features 3G, 4G (LTE) and Wi-Fi connectivity and is powered by a 3220mAh battery. Available in two colors, Midnight Blue and Cloud White, the Nexus 6 will be available for preorder starting Oct. 29 and will be in stores starting in November. The device will be available at the Google Play Store and on Motorola.com as well as at several carriers and retailers starting at $649. The HTC made Nexus 9 features an 8.9-inch display and a 64-bit nVidia Tegra K1 chip, 2GB of RAM and 16GB and 32GB internal storage options. The Nexus 9 includes an 8-megapixel main camera and 1.6-megapixel front-facing camera, Wi-Fi and LTE connectivity options, and a 6700mAh battery. Available in three colors, Indigo Black, Lunar White and Sand, the Nexus 9 will be available for preorder starting Oct. 17 and will be in stores starting Nov. 3. The device will be available at the Google Play Store as well as at Amazon, Best Buy, Gamestop, Office Depot, Office Max, QVC/HSN, Radio Shack, Staples and Walmart.